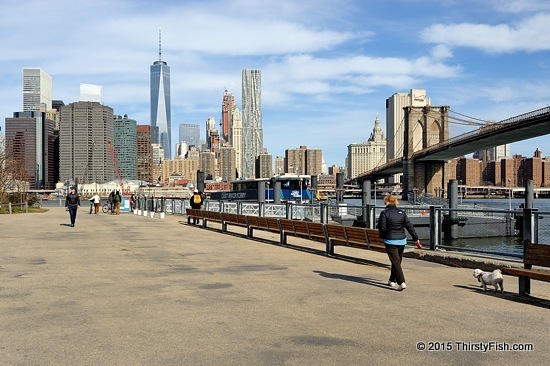 One World Trade Center as seen from Brooklyn Bridge Park. At 1,776 feet, with its spire, it's the tallest building in the United States. The building was officially opened on November 3, 2014. Photos of the incomplete tower from 2011, 2012, 2013 and a night shot.